WATCH: Mary Rose Cook live-code an in-browser drum machine, from scratch, using only browser-native APIs. PERUSE: Sam Phippen's list of falsehoods programmers believe about residence. RENEW: Your faith in the value of testing. GAZE: Upon this beautifully handy visual guide to the htop utility. I published a classic dish from the RubyTapas archives on eliminating nil-checking conditionals using the Special Case pattern. As a bonus, Upcase contributed a complementary video from their archives on applying the Null Object pattern to Rails. Check them both out here. Speaking of RubyTapas and Upcase, you have about ONE DAY left to take advantage of the amazing Upcase+RubyTapas bundle deal. Today's title photo is from Pete Doherty, who thinks you should know about the Beagle Freedom Project. Want to see your photo featured in BRUNCH? 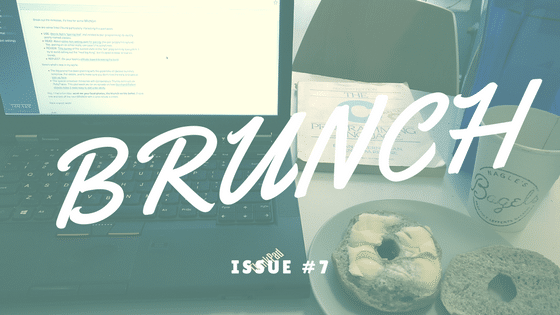 Reply to this email with a food photo – the brunch-ier the better!